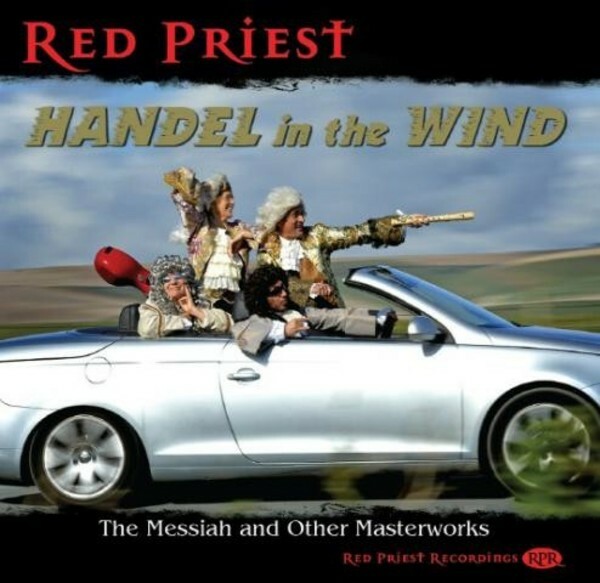 Red Priest is the only early music group in the world to have been compared in the press to the Rolling Stones, Jackson Pollock, the Marx Brothers, Spike Jones and the Cirque du Soleil. This extraordinary acoustic foursome has been described by music critics as �visionary and heretical�, �outrageous yet compulsive�, �wholly irreverent and highly enlightened�, �completely wild and deeply imaginative�, with a �red-hot wicked sense of humour� and a �break-all-rules, rockchamber concert approach to early music�. Founded in 1997, and named after the flame haired priest, Antonio Vivaldi, Red Priest has given over a thousand concerts in many of the world�s most prestigious festivals, including the Hong Kong Arts Festival, Moscow December Nights Festival, Schwetzingen Festival, Prague Spring Festival and Bermuda Festival, and in most European countries, Japan, Australia, and throughout North and Central America. The group has been the subject of hour-long TV profiles for NHK (Japan) and ITV (UK) � the latter for the prestigious South Bank Show, which documented the launch of the Red Hot Baroque Show, an electrifying marriage of old music with the latest light and video technology.